The Munk School of Global Affairs offers students internships in top-tier international and national institutions, businesses, and civil-society organizations. Our partners will connect with a new generation of highly-skilled leaders prepared to work and make a difference in the global milieu. The summer internship program places students in centres of global policy-making, giving them an opportunity to apply and develop their interdisciplinary knowledge and skills. The mandatory internship is an important bridge to future employment enabling students to better clarify their career goals, develop professional networks, and hone the comprehensive set of skills required to succeed in the ever-competitive global environment. The internship program aims to mirror the three streams of the MGA, Global Economy & Markets, Global Institutions and Global Civil Society. Internships will last a minimum of 12 weeks and maximum 16 weeks. Placements will be available in international governmental and non-governmental organizations, national institutions and civil society organizations that operate globally, as well as with carefully selected partners in the private sector. Some recent internship placements include: World Bank, OECD G20 Sherpa Office, UN Women-Tanzania, World Resources Institute, NATO Defense College, Department of Foreign Affairs, Trade & Development (DFATD), Health Canada, UNDP, Shanghai Institutes for International Studies, Bombardier, Building Markets and Swisspeace. If you are interested in taking on an MGA summer intern, find out here on how to become an MGA internship partner. 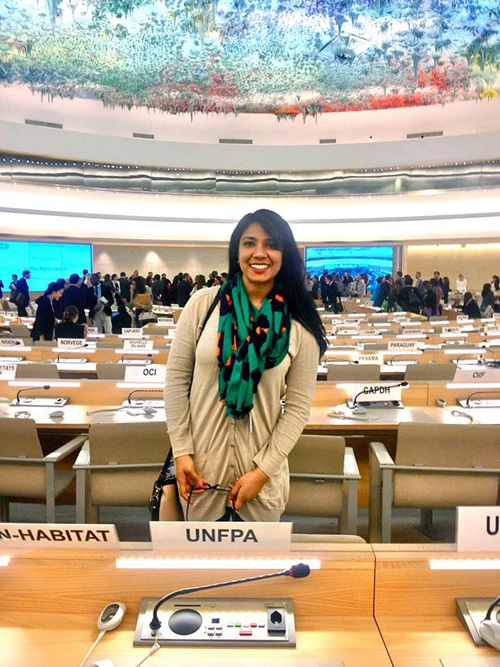 MGA Student Seher Shafiq on her internship at UNFPA United Nations Population Fund in Geneva. 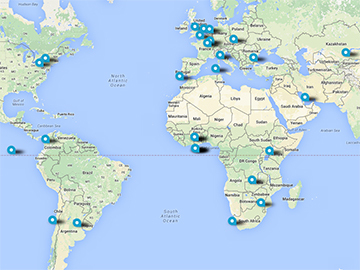 View our internships map to see where our graduates are.